PSA My Devon Retreat is almost full! Get in if you want to come! 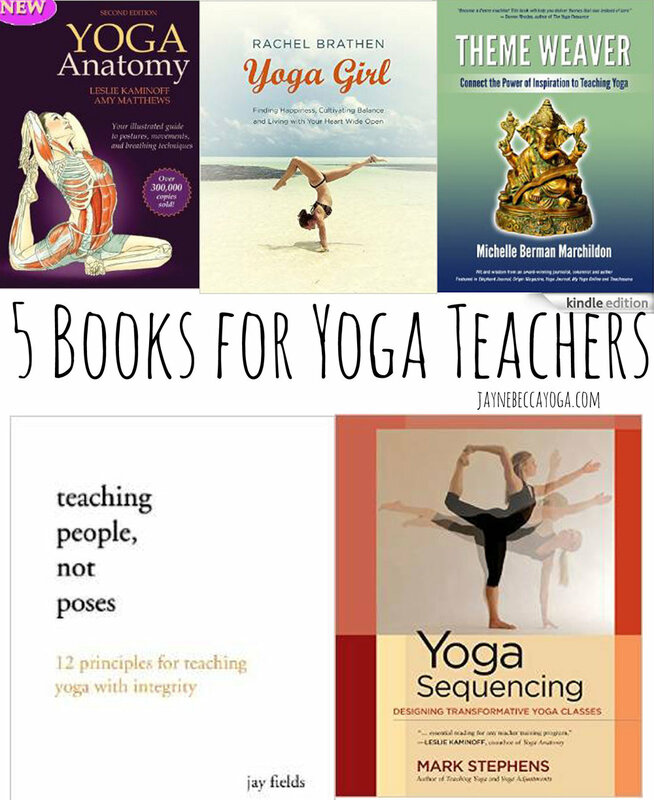 One of the questions I get asked a lot if what yoga books I would recommend so I thought that I would put together a list of 5 books for yoga teachers, there are also a couple which I would recommend to any yoga student. There is so much information out there that sometimes it can be confusing as to what books are useful and which aren't so much. I found that several books that come highly recommended to read just aren't accessible for me, they sometimes seem dated - doesn't that make me a bad yogi? Oh well! I have put several books on here that are great for reference especially if you are planning workshops and want to research thoroughly. I ran a Backbends 101 workshop recently and I found it really useful to go over the anatomy so that I could give clear and concise explanations to my students. Through my yoga teacher training and delving into the scary world of teaching actual classes these are the books I would recommend for yoga teachers and students. I'd be interested to know if you like a good old fashioned heavy book or if you use a kindle. I love my kindle, especially for reading fiction but there's something about a regular old fashioned book that I just love. I often find myself in book shops just flicking through the pages of books to see if I would like to read it or not. That's something that you can't do with a kindle and I kinda miss it. For yoga books if it is book that I would use for reference and would flick through then I will buy the actual book. If not then I will purchase the kindle version - because let's face it no one likes lugging around huge text books on their travels! 1. Yoga Anatomy. This is a great book which breaks down poses so that you can see which parts of the body are being worked. 2. Theme Weaver. A nice book for developing themes for your yoga classes. It's great for fresh ideas and inspiration. 3. Yoga Girl. I cannot express how much I love this book! Rachel tells her story through this book in a create way, each chapter has a theme and a breakdown of yoga poses to go with that theme. I have a lot of time for Rachel she writes with such a warm tone. It's the perfect book for beginners too! 4. Teaching People not Poses. A nice overview (and reassurance) for anyone who is starting out teaching. Sometimes the most difficult thing can be finding your own voice and way of teaching yoga. 5. Yoga Sequencing. I find this book useful for referring to if I am feeling a little bit stuck for ideas of creative sequencing. Lets chat Are there any books you would add to the list? This post was inspired by YogaByCandace who listed 22 books for yoga teachers and I thought I would share my own.